The landfill office and scale are located 1 mile west of Carroll on Hwy 30. Look for the large white building on the south side of Hwy 30 that says Recycling Center. 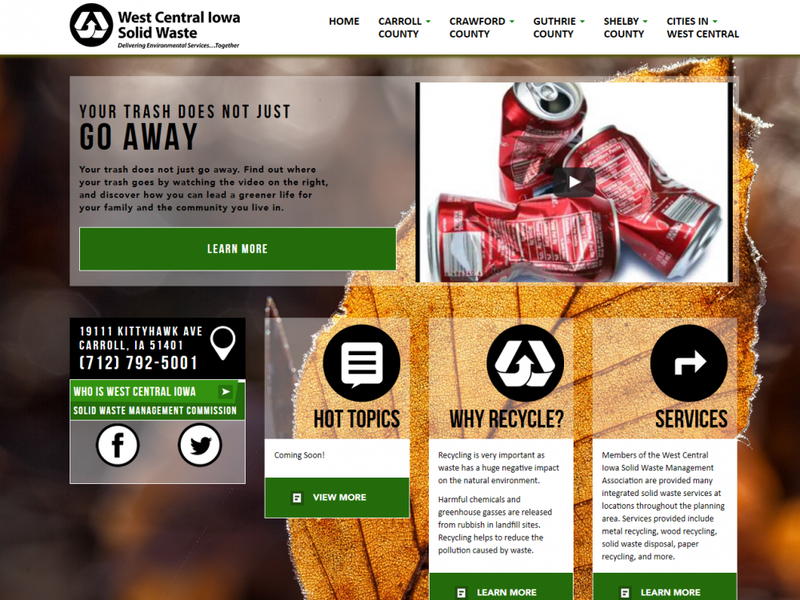 Visit the West Central Iowa Solid Waste website for more information. Website Design by: Websites to Impress, Inc.